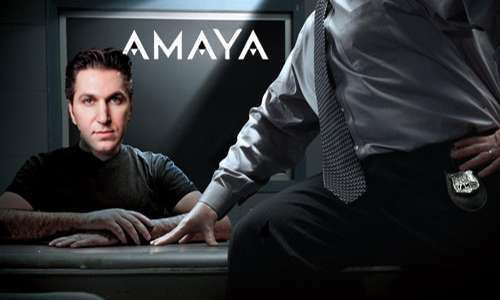 Amaya Inc. CEO David Baazov was charged today with violations of Quebec securities law in connection with the company’s 2014 acquisition of PokerStars parent company Rational Group. 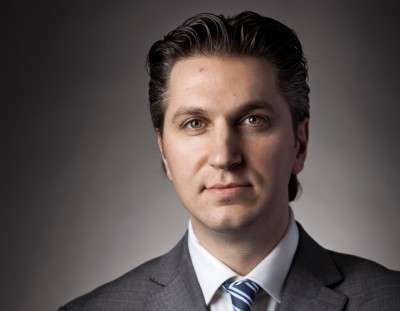 Baazov was hit with five charges by Quebec’s Autorité des marchés financiers (AMF), which began investigating the takeover after Amaya’s shares underwent significant price surges in the days and weeks before the US $4.9 billion acquisition was announced. Baazov is not the only person or company to be charged today by the AMF. All told, investigators have filed 23 charges related to their investigation. Other parties now facing Quebec penal proceedings include Amaya’s Vice President of Government Projects, Benjamin Ahdoot, and Yoel Altman, a senior analyst for Pinetree Capital Corporation, who has previously been described in press reports as a long-time adviser to Amaya and a good friend of Baazov’s. Ahdoot and Altman face four and six charges, respectively, largely for trading while in possession of privileged information and influencing or attempting to influence the market price of the securities of Amaya inc.
All parties face hefty fines and (for the named individuals) possible prison terms if found guilty on the charges. The AMF has not ruled out filing additional charges related to the investigation. Baazov immediately issued a statement regarding the charges, which also includes a mention of his proposal made last month to assemble an investment group and take Amaya private. Yesterday I was served notice that I would be charged by the Autorité des marchés financiers (AMF) alleging that I engaged in market manipulation of Amaya Inc. (“Amaya”) shares and that I unlawfully provided non-public information to third parties prior to Amaya’s acquisition of the Rational Group Ltd. in 2014. These allegations are false and I intend to vigorously contest these accusations. While I am deeply disappointed with the AMF’s decision, I am highly confident I will be found innocent of all charges. I have always been proud of my reputation for personal integrity and ethical business conduct. As the founder, President and CEO of Amaya, I want to provide my personal assurance to all our of stakeholders, including our employees in Canada, the US, and Europe, our more than 100 million playing members, vendors, and our public security holders that I am as confident as ever in Amaya’s business operations and future prospects. Finally, on February 1, 2016, I announced my intention to make an all-cash proposal to acquire Amaya at a purchase price presently estimated at CDN$21.00 per common share. I made this approach to the board of directors (“the Board”) of Amaya prior to any knowledge that the AMF would be bringing any allegations against me. While I have no further comment on the bid process at this time, I am still committed to working with my investor group and the Board to consummate a successful transaction, which I believe is in the best interests of shareholders. Amaya Inc. today provided an update regarding the previously reported investigation by the Autorité des marchés financiers (AMF), the securities regulatory authority in the Province of Quebec. The AMF has charged Amaya’s Chairman and Chief Executive Officer, David Baazov, for aiding with trades while in possession of privileged information, influencing or attempting to influence the market price of Amaya securities and communicating privileged information but has made no allegation of wrongdoing by Amaya or any of its subsidiaries or other directors or officers. Trading of Amaya (AYA) shares on NASDAQ was halted temporarily after the stock’s price plunged more than 20% in overnight action. Shares traded in the low $11 (USD) range, after opening at $10.30, following yesterday’s close at $14.25. Also part of the unfolding story is an ongoing AMF investigation against an additional 13 individuals who are alleged to have collectively profited some $1.5 million in connection with Amaya’s acquisition of PokerStars. The 13 people have been served with search warrants and freeze orders regarding their Amaya share holdings. The 13 notably include David Baazov’s older brother, Joshua Ofer Baazov, and Craig Levett, both of whom were alleged in a 2015 Globe & Mail feature to have been a part of the company’s formative days, well before it actually became Amaya. Neither the older Baazov nor Levett are believed to be officially connected to modern-day Amaya’s operations.